That’s right! WE ARE EXPANDING! While we are sad to hear of our friends at Essential Martial Arts closing their Oak Ridge Location and consolidating all of their classes into their Greensboro studio, we are excited about the opportunities it has opened for us! 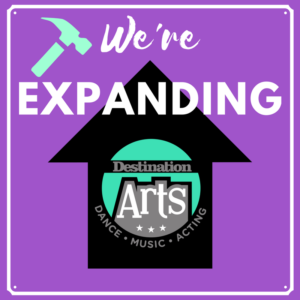 Starting with our fall classes on September 11th, we will be adding a THIRD studio room! “Studio C”, as we have dubbed it, will hold classes in the former Essential Martial Arts space (Suite P), right here in our same shopping center. Since we have already been using this space on Mondays for extra classes for the last year, it won’t be much of a change for a lot of our dancers. It will be fully renovated into a studio space with dance-specific, sprung flooring and mirrors. It will be our largest studio of the three! Most of our competitive team classes will be moving down to the larger Studio C. (We will send updates to the classes this affects as we get closer to classes starting.) 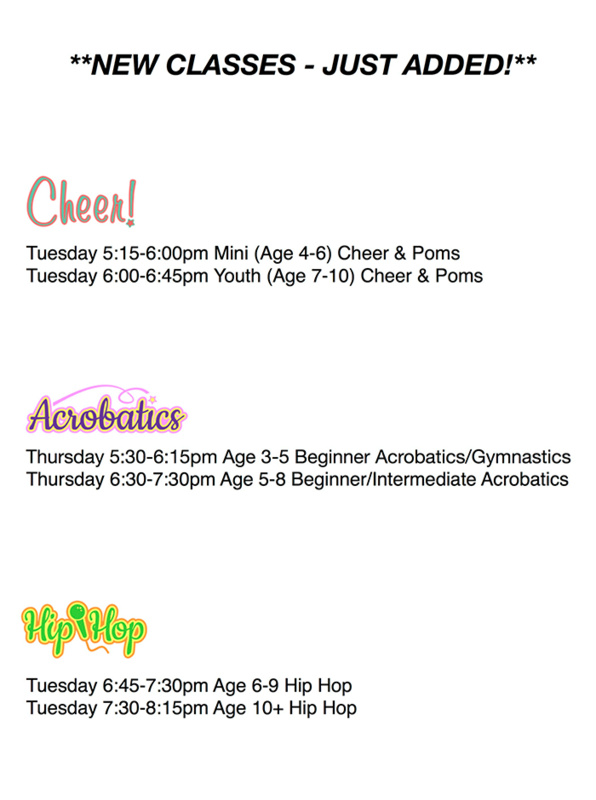 This also allows us to open up some additional, new acrobatics classes (since all of our acrobatics classes were previously full), as well as add some additional hip hop classes at our main studio, and some NEW cheer classes to our schedule! Check out the classes below…and you can go ahead and REGISTER for them NOW! We are excited about our new season, and can’t wait for you to see our new space, soon! Thanks for your continued support of Destination Arts!